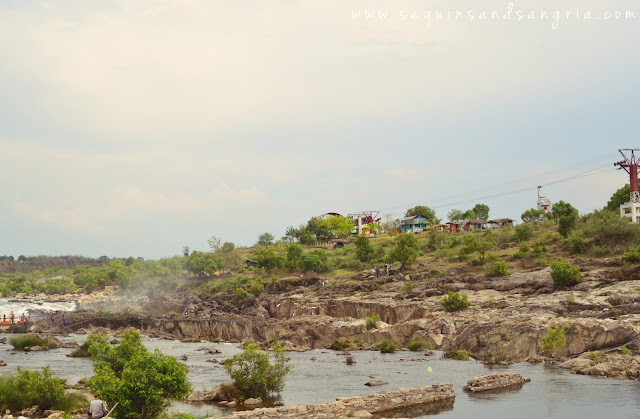 Jabalpur is an urban city in the culturally rich state of Madhya Pradesh. 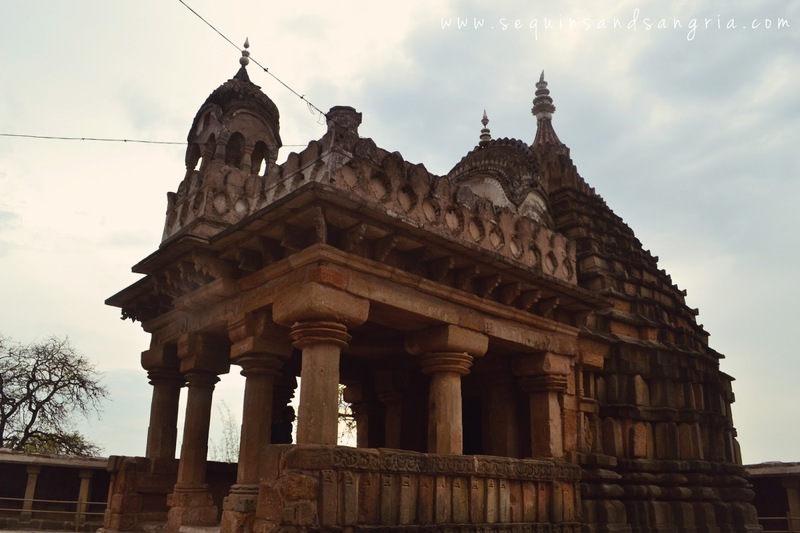 I only had a day to explore it on my way back from Kanha National Park and had quite a packed itinerary. 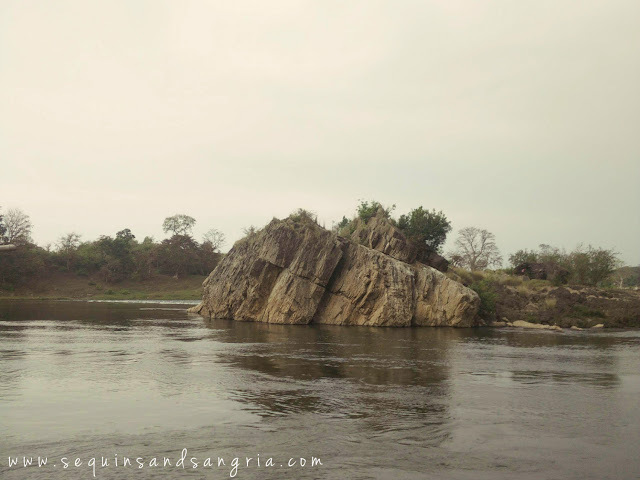 Jabalpur is pretty central as it is the closest railway station and airport to many towns in MP that are worth seeing. 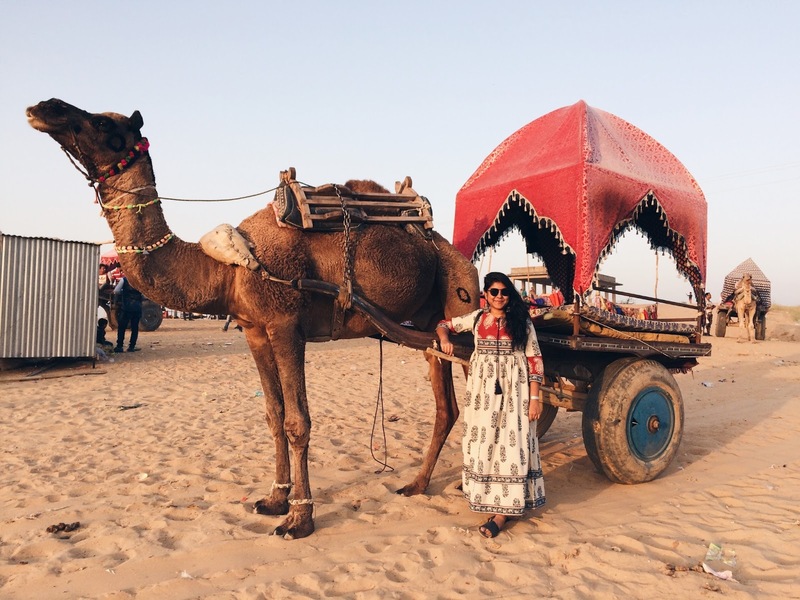 Here is a quick guide to 5 things that you should definitely experience in the city. 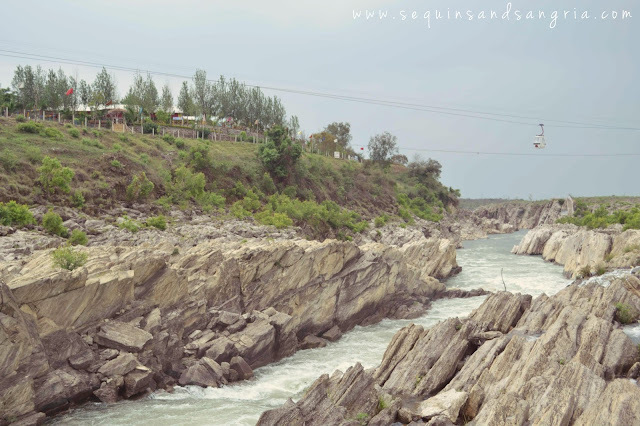 The most popular and sought after spot in J-town is the very fierce Dhuandhar Falls at Bedaghat. 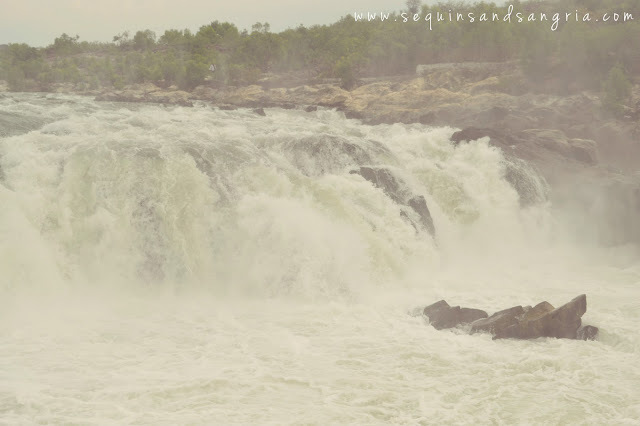 The falls are so called because of the mist and smoke effect they create after the the bustling waters of the Narmada river strike the big marble rocks with such great intensity. It is a beautiful sight and one could gaze at and hear the loud and yet calming roar of the flowing water for hours while also enjoying occasional sprays of water on the face. DO NOT miss this one if you're ever near Jabalpur. 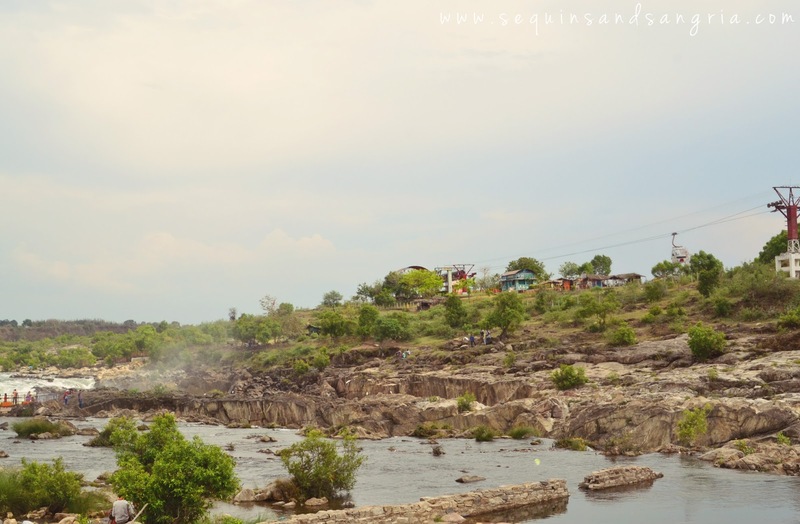 After climbing a good number of stairs, you will find yourself on the plateau like structure surrounded by countless Bel trees and giving a beautiful view of Jabalpur. 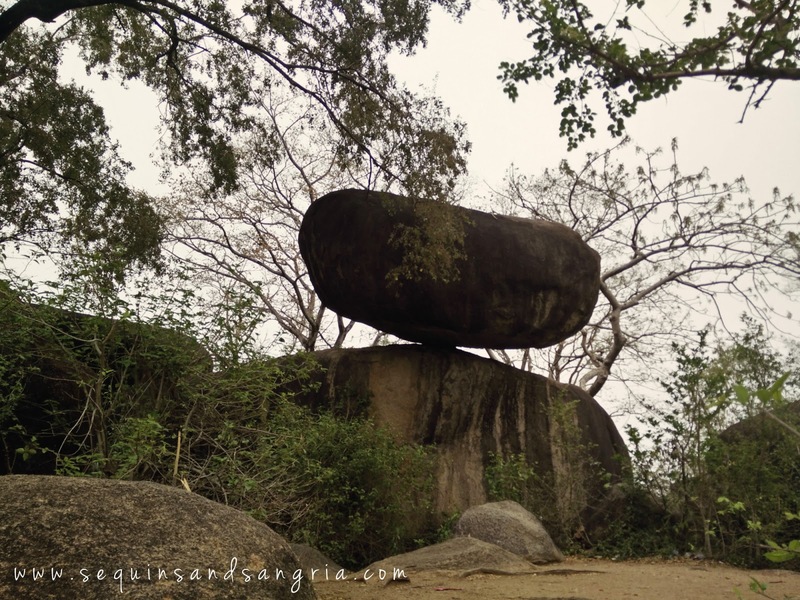 Right in the middle of the platform lies the Chausath Yogini Temple. The main temple complex dedicated to Goddess Durga is surrounded by 64 idols of Durga's attendeed called Yoginis. Each of the 64 idols was disfigured and damaged during the Mughal Era. If you like boating, do row through the Marble rock formations at Bedaghat. The view is breathtaking and the surroundings are serene. Boats can easily be hired at the shore. 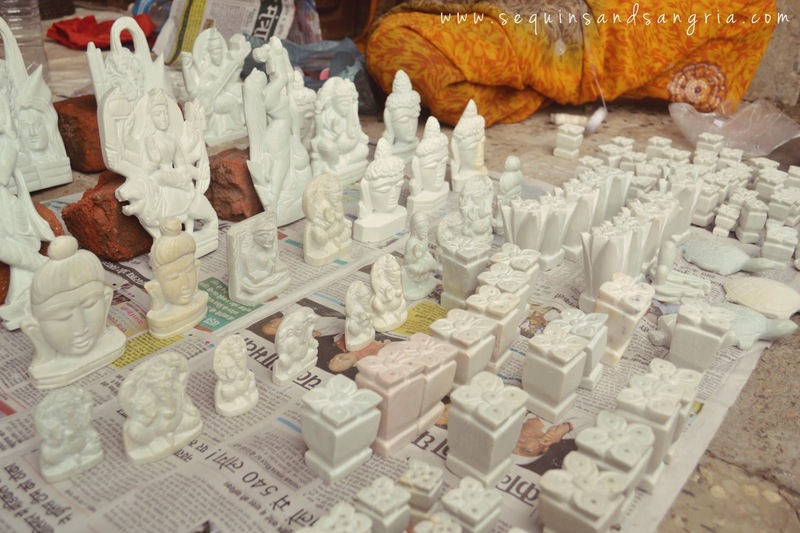 You will also find numerous vendors selling pretty marble goods at very reasonable prices that make for great souvenirs. This is nothing short of a geographical marvel- the balancing rock has been gloriously sitting like this since millions of years- and even sustained many earthquakes. It is regularly inspected and visited by many geologists who are fascinated by its physics. And yes, it is a great photo-op for one of the pictures where you pretend you are holding the rock. Just like Delhi, Jabalpur too has a charming Indian Coffee house serving amazing coffee and pakoras. The service is super slow but the food is worth the wait. 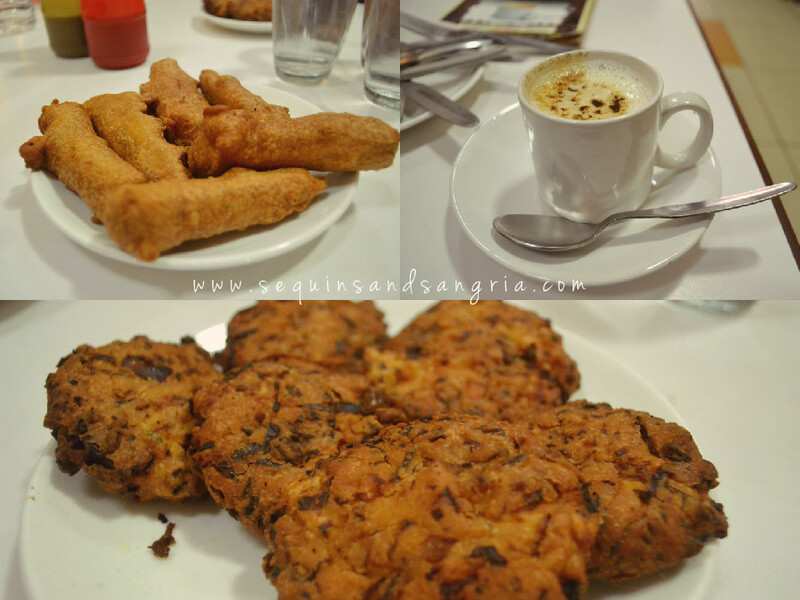 It is very affordable and has a great variety of vegetarian as well as non-vegetarian food. Loved it! 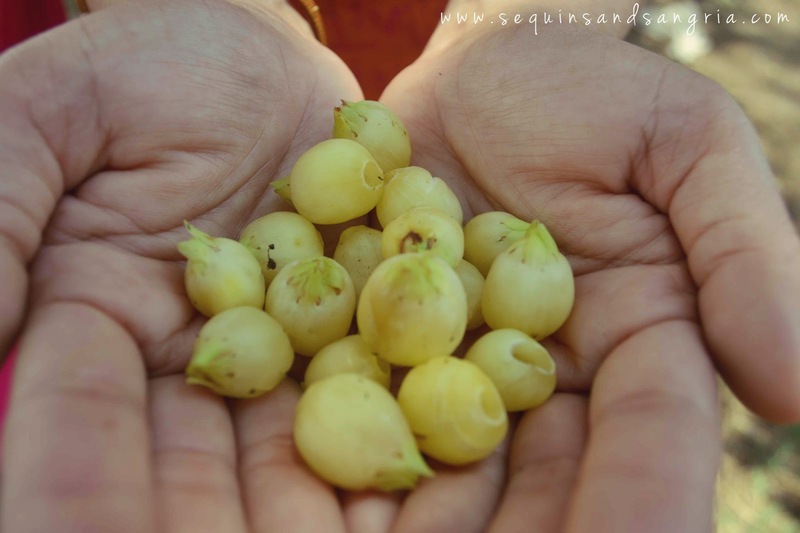 Lastly, if you are big enough guy/girl , do try some locally prepared alcohol made by fermenting these Mahua fruits present in abundance in the area. These grow very quickly and are collected by local pickers every morning after dawn. They have the loveliest yellow-green colour and a super-repulsive smell. I haven't tasted the drink yet, but I am looking forward to it as it is quite popular in central India, especially among the tribes. So, that's all about my day in Jabalpur. 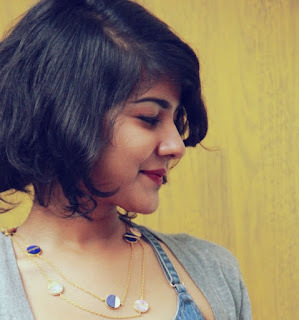 Do share your experiences in case you've been here too!